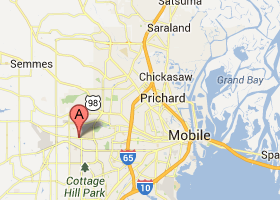 Ashbury Manor Assisted Living in Mobile, Alabama – Ashbury Manor Memory & Specialty Care is a 16 bed, state licensed community. Choosing a place to care for your mom or dad diagnosed with dementia can be an emotional and difficult decision. Conveniently located on Old Shell Road just west of the University of South Alabama, Ashbury Manor is a locally-owned, 16-bed, state-licensed community caring for residents diagnosed with Alzheimer’s and other cognitive deficits. Ashbury Manor is designed for the safety and security of its residents. Dementia and Alzheimer’s disease is a journey of many years, which requires patience, compassion, respect and understanding. Our team of qualified and licensed professionals is specially trained to care for residents with various degrees of Alzheimer’s disease and other Dementias. Call 251-317-3017 or submit the form to the right for more information or to get your questions answered.